How many veterans are there? 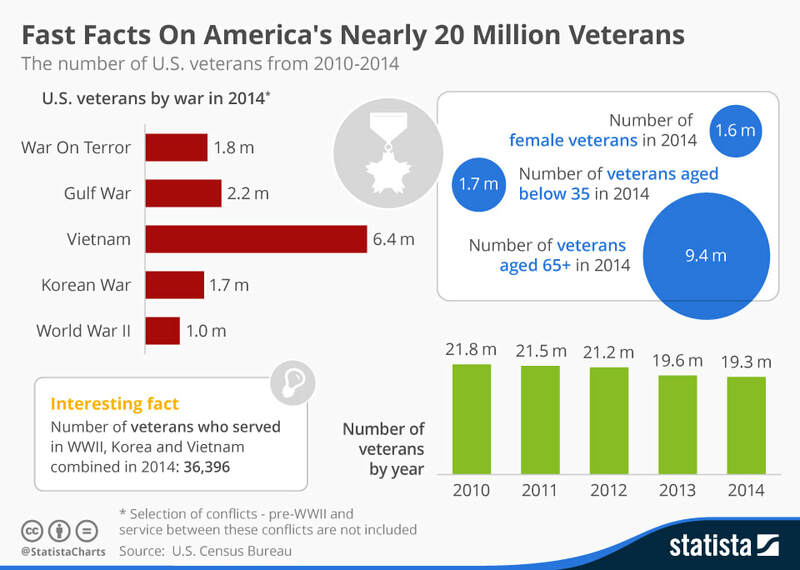 In which war did the most veterans serve? How long have women served? 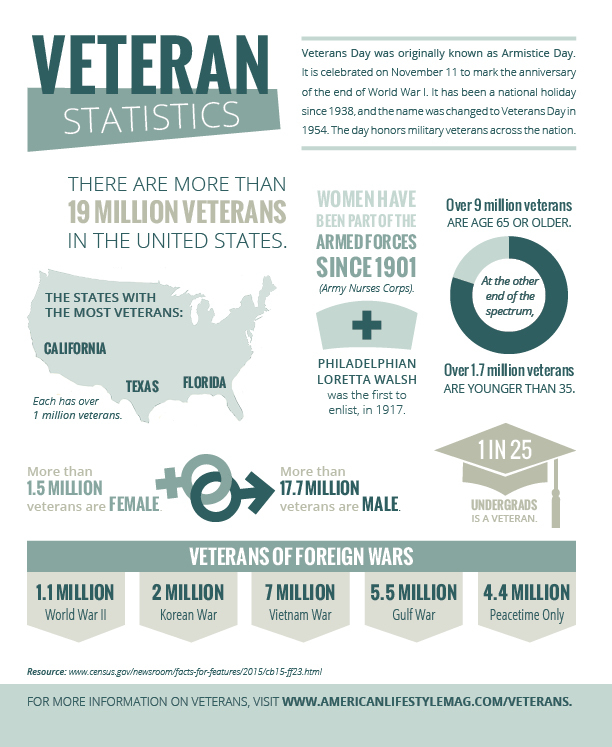 Read More: "By the Numbers: Statistics About United States Veterans"
About 39,471 veterans are homeless on any given night. How many homeless veterans are there? Why are veterans homeless? You are leaving home, you are going into an environment that is completely alien to the way you grew up. ​​The people, the country, the food, everything is alien. The situations you are in are completely unknown. After serving you go back home, with lingering memories. They need companionship, they need camaraderie. You need to talk with them, not drug them." My son explained to me that he was struggling emotionally from his time in Afghanistan, and those horrifying images replay in his mind. He couldn't tell me about those images. He was being treated at the VA and told me that they prescribe him a lot of pills....he felt it was too much. ​© 2018 Will power for veterans. All rights reserved.